When I want real results, especially for skincare, I turn to no-fuss brands I’ve been loyal to for years. Kiehl’s is one of those brands, and not just because I often dream of jumping into a huge vat of their classic Crème de Corps moisturizer, which feels so rich and milky, absorbing smoothly into the skin without any oily residue, each time I use it. What’s even more impressive is that Kiehl’s is big on supporting philanthropic causes and doesn’t spend a dime on traditional advertising. Its marketing platform revolves around generous product samples, word-of-mouth recommendations and editorial endorsements. The approach, rare in the crowded beauty category, seems to be working since they’ve been around forever. I had the pleasure of attending Kiehl’s latest charity event in San Francisco on Friday for the close of the brand’s “LifeRide for amfAR.” A fashionable SF crowd showed up at the Fillmore Street Kiehl’s boutique for a little after-work mingling over Belvedere cocktails and canapés, all in celebration of the six-day inaugural motorcycle ride from San Diego to the Bay Area. 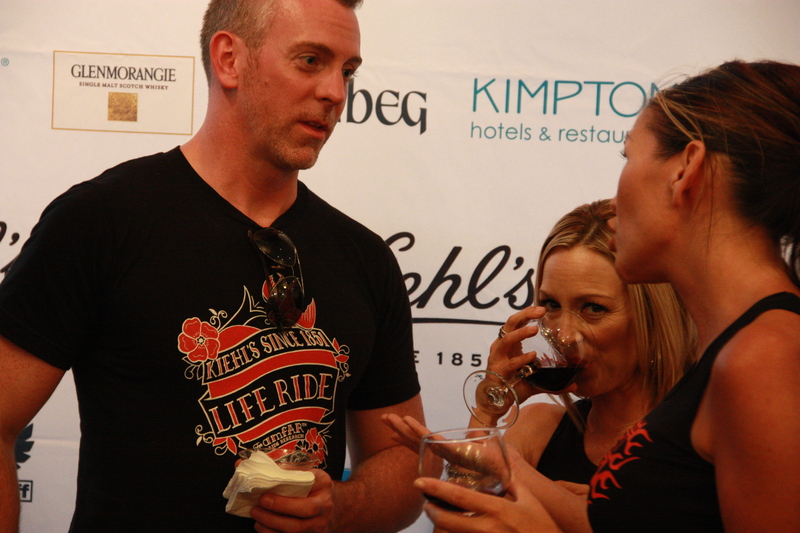 The ride, with stops at Kiehl’s stores along the way, raised $85,000 in funding for HIV/AIDS research. 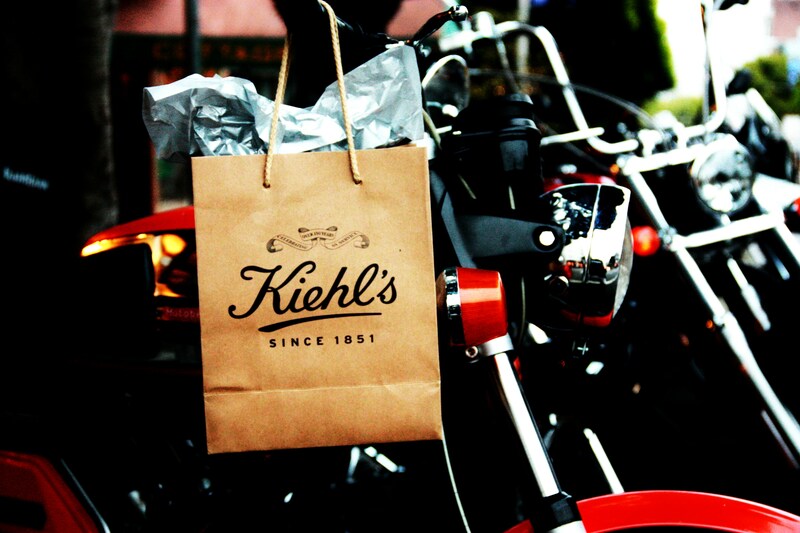 Chris Salgardo, president of Kiehl’s USA, who led the ride along the California coast, said he’d love to do the ride again next year through New York, where surprisingly, it will probably feel much closer to summer weather! 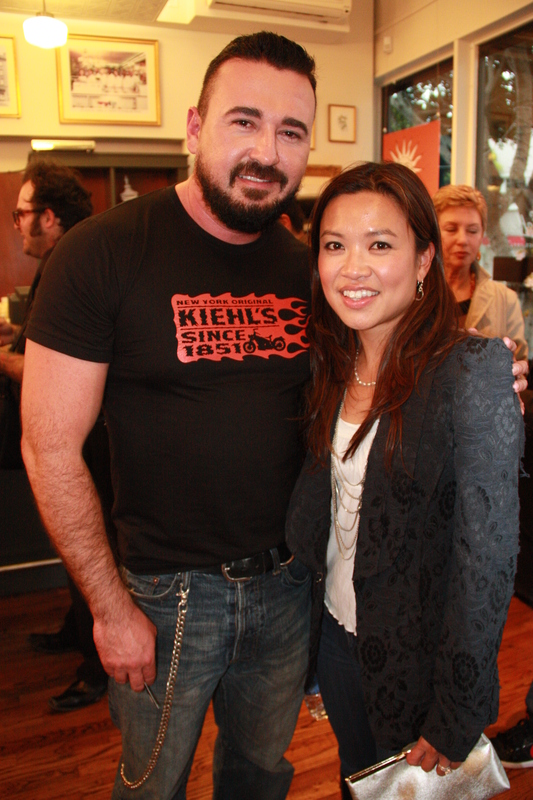 Cathing up with Kiehl's president Chris Salgardo at the amfAR event on one his last stops on the ride. Photography by Edric Itchon. LifeRide riders on the road. Photography by Travis Shinn. William H. Macy and Fred Durst were among the celebs who rode with the Kiehl's team, sponsored by BMW. Photo by Travis Shinn. 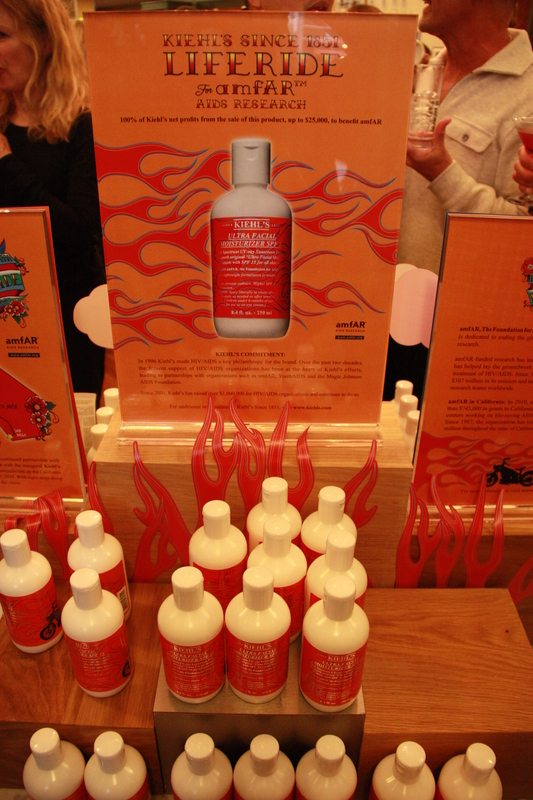 $25,000 in sales from Kiehl's Limited Edition Ultra Facial Moisturizer with SPF 15 will go to amfAR.